NEW YORK, Sep 15, 2014/ — With the mantra, “Depth in Form. 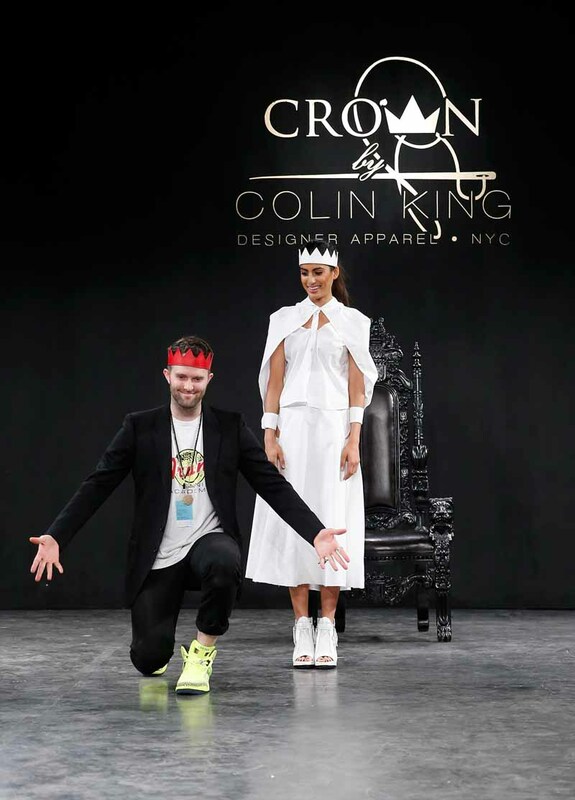 Comfort in Function”, Crown by Colin King Spring 2015 collection debuted on the New York runway on Friday, Sep 5th at the Lincoln Center during Mercedes-Benz Fashion Week. It’s the 1970s meets grunge, as the label paraded ensembles in black, white or black & white, which happens to be one of the biggest trend this season. CROWN by Colin King was founded to shift the focus of fashion from flash trends to refined articles of style and grace. There are too many stories of industry big wigs dumping massive amounts of long-gone trendy clothing into trash heaps the size of Texas. We need a new generation of products that are durable enough tolast a lifetime and stylish enough to transcend years of monthly editorials. Our story is a success story because of our attitude towards powerful design: Depth in Form. Comfort in Function.